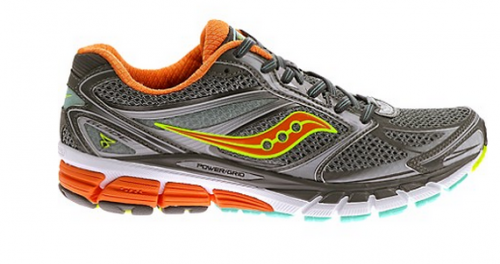 The Saucony Guide 8 is a standard, daily running, support shoe designed for a moderate overpronated foot motion. Good support, no cushion whatsoever. Had a ton of blisters.